Protea Real Estate specializes in retail property management and we can successfully achieve maximum occupancy in your shopping centers. We manage the day-to-day details for you, ensure you have happy tenants and handle all the financial aspects of successfully managing a retail property. Our staff has managed over 70 shopping centers in Canada and the U.S. and we have vast experience managing every type of shopping center. At Protea a happy tenant means a happy customer. We pride ourself on providing quality customer service and top-notch attention to each of our clients. 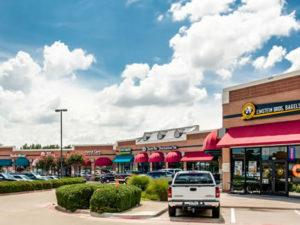 View our Retail Property Management Portfolio to see a few of those happy clients. Buyers and Sellers email us or call (972) 248-6065 x109 TODAY for property advice!